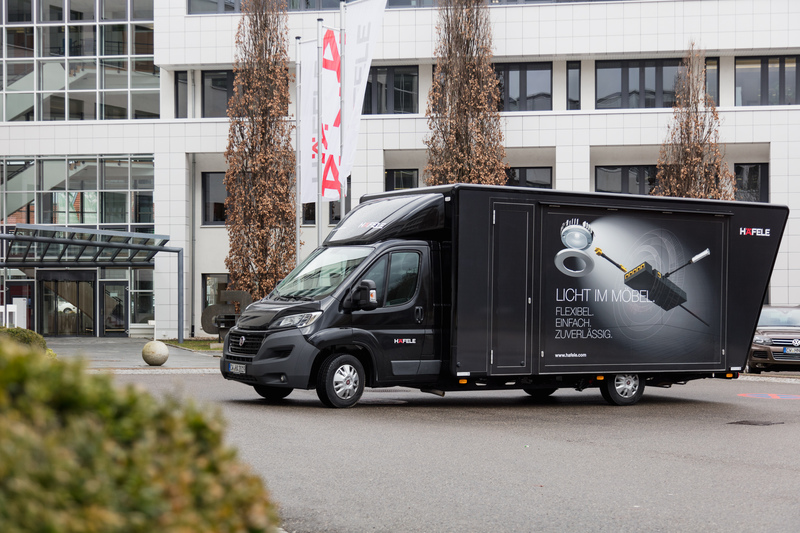 Häfele takes lighting know-how directly to its customers with the Loox mobile, building on decades of tradition. The first “mobile exhibition” went on tour in 1966, in order to present new hardware solutions to the many joiner/cabinet maker customers in Germany and abroad in a time-saving manner, directly on site. Training and exhibition buses are now used worldwide. The demand for lighting in furniture has developed extremely well. Häfele has become the market leader with its Loox products and has made a name for itself with its lighting training for the industry. The two Loox minibuses, which were put into operation in the spring, now visit carpentry businesses and get their employees and their planning and assembly partners ready for the Loox lighting systems. 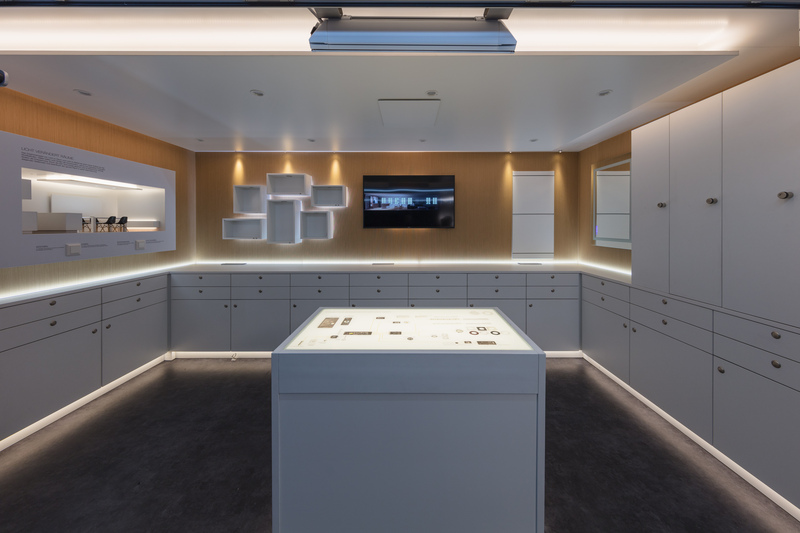 The third generation of the LED lighting system, along with its comprehensive product range of sound, entertainment, and smart home components, opens up new possibilities in the modern world of smart living. 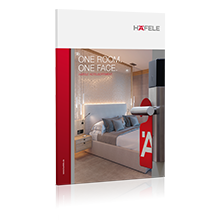 The new Häfele Connect BLE-Box with its convenient Häfele Connect app provides access to smart home applications for controlling furniture lighting and electrically operated fittings. Häfele “Connect BLE boxes” are the app whisperers in the Loox world. They enable the control of lights, electrically operated sliding doors, and furniture locks via smartphone or tablet. If your smartphone battery is dead, the built-in wireless charging station is the solution. The mobile device is put in the right location on the furniture and it is recharged with energy. Highlights in the lighting product range include the modular LED lights, consisting of a standardised luminaire body as a base element with built-in or under-cabinet housings in different shapes and finishes. They can be customised in colour and shape. The 12 Volt and 24 Volt drivers of the “Loox” system are available in three performance classes. They can be used worldwide. All system components are perfectly compatible, and are fitted extremely easily and without tools using Plug & Play. Standardised plug-in connections with clear colour coding provide safety during installation. The Loox mobile is designed as a training centre and is suitable for on-site training of all conceivable sorts, both for Loox professionals and for beginners. The bus is equipped with a comprehensive product range of Loox and light applications. The modular concept shows nine areas that build upon each other. An introductory light show, implemented with Häfele's own products throughout, welcomes the visitors and emotionally tunes them into the topic. Company owners are now offered this great opportunity of time-saving, optimised training of all employees on site. Participants can experience all the possibilities and advantages of light in furniture and of Loox in practice, test installations and planning under expert guidance, and learn on the object – that's amazing. Against this background, the Loox mobile is ideal for partner companies that have not yet ventured into the topic of light in furniture. For them, the visit should be a special eye-opener. The Loox bus makes the effect of light in furniture and the added value that can be generated an impressively hands-on experience. The Loox tours are accompanied by the Häfele field service employee responsible for each region. He or she is the organiser and driver in the area. The Loox mobile in front of the Häfele headquarters in Nagold. Two such training centres on wheels are currently travelling to Germany's carpenters and cabinetmakers. The mobile training room of the Loox mobile offers space for creative ideas and practical learning.